Location: Southwestern corner of the island of Lana’i. Good for seeing: Large parrotfish, schools of convict tang, saddle wrasse, slate pencil urchins, goatfish, yellow tang, humhumunukunukuapua’a, peacock groupers, whitemouth morays, a healthy coral reef system–and occasionally spinner dolphins which enter the area on occasion. Best time of year to snorkel at Hulopo’e: Although Hulopo’e can offer world-class snorkeling during any time of the year, the winter months offer the best guarantee of calm and clearer waters. While summer can similarly have days with 80 ft.+ visibility and large schools of reef fish, occasionally large surf can affect Hulopo’e to make snorkeling conditions unsafe for beginners. 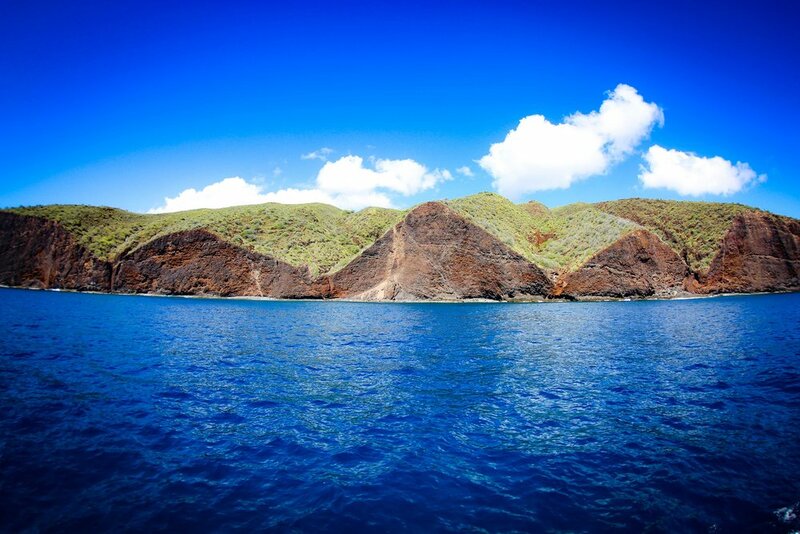 On over 90% of days, however, Hulopo’e offers some of the best snorkeling in Maui County. Reasons we might not snorkel here: Trilogy does not offer snorkeling trips to Hulopo’e Bay on weekends or public holidays. 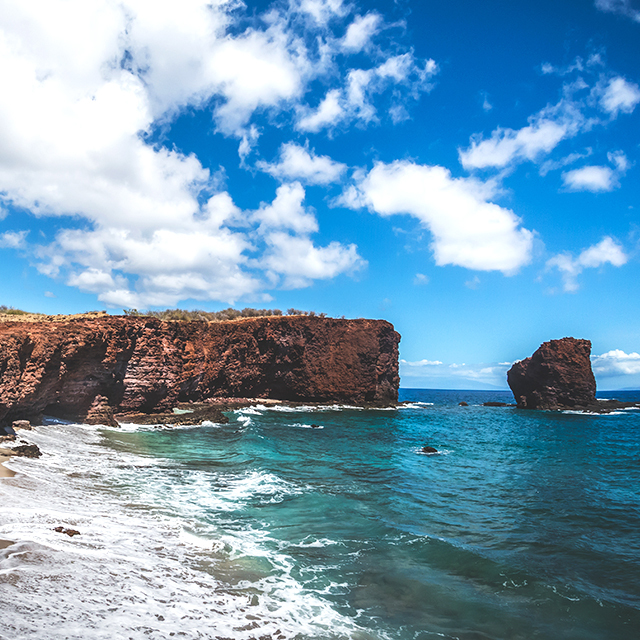 In 1973 when Trilogy first started bringing passengers from Maui, it was agreed that the beach would be left for locals on the weekends to enjoy without the introduction of visitors, and it’san agreement that Trilogy continues to honor to this day. On regularly scheduled trips, however, we might not choose to snorkel at Hulopo’e if the surf reaches dangerous levels (which only happens a couple of times per year and is most common during the summer months). On these rare occasions, we will usually opt to “snorkel out” at an offshore reef off of Lana’i which isn’t affected by the breaking surf and offers safer and calmer conditions. Trips offered to Hulopo’e Bay: Our original Discover Lana’i trip departs Lahaina Harbor for Hulopo’e Bay on Monday-Friday from 10am-6pm (and seasonally 6:30am-2:30pm).